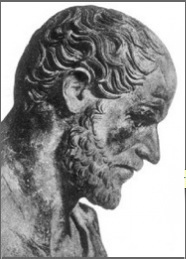 The following piece is intended to introduce the concepts of rhetoric and Aristotle's appeals. Lloyd Bitzer clarifies what, exactly the Rhetorical Situation is. What he discusses, is the Aristotilean triangle. 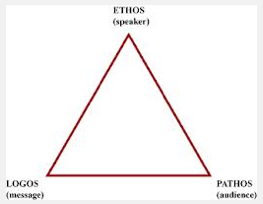 In any rhetorical situation, Aristotle argued that three elements circled around the topic at hand.